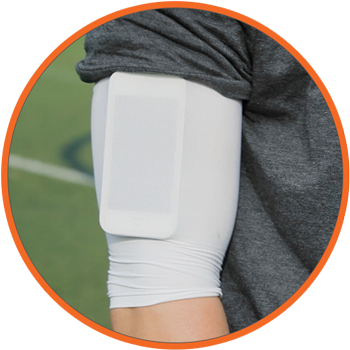 Slide a compression sleeve on your upper right arm. 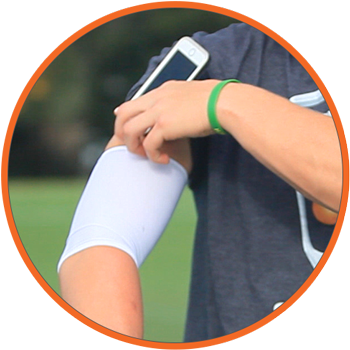 Use a SNYPR sleeve, or cut the toe off a sock and slide it on your arm. 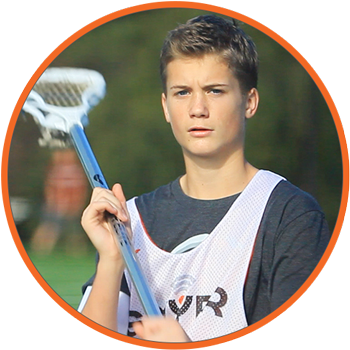 Take your phone out of silent mode, turn your volume up, open the SNYPR app and press play. Slide your phone into the sleeve. Position the phone on the outside of your right arm, with the screen facing out and upside down so the home button is pointing up. That's it! Now hit the wall or have a catch. 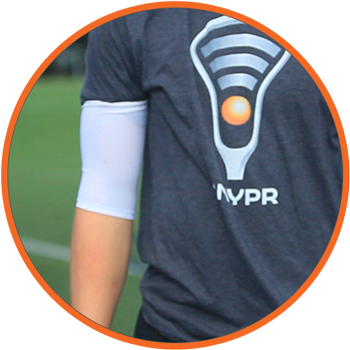 SNYPR will automatically count your reps. When you are finished press "log reps". * Compatible with iPhone, iPod Touch v4 or newer, and most Android phones.